Halloween is the perfect time to creep out your friends, family, and party guests. 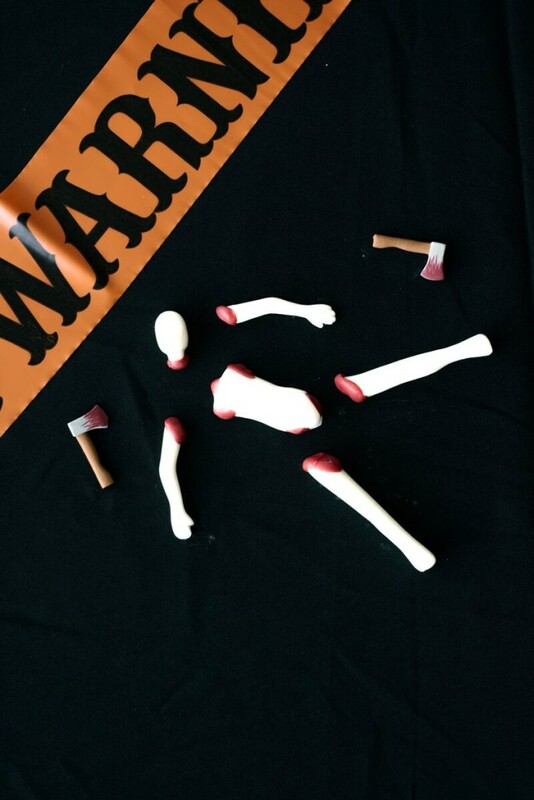 It’s the season that we celebrate serial killers, terrifying ghosts, and lots of blood. Whether cute or down right scary, it’s a month filled with all of the things that we usually try to avoid throughout the rest of the year. And everyone is looking for the next best scare, while trying to make sure their decor looks as realistic as possible. So, I created my very own crime scene complete with lots of bloody body parts! And body parts that you can eat, nonetheless! I was inspired to make these fun (and freaky!) chocolate body parts while searching through the aisles at my local craft store. I saw a clay fairy mold and my demented Halloween obsessed mind immediately thought of body parts at a crime scene, a la Dexter himself. 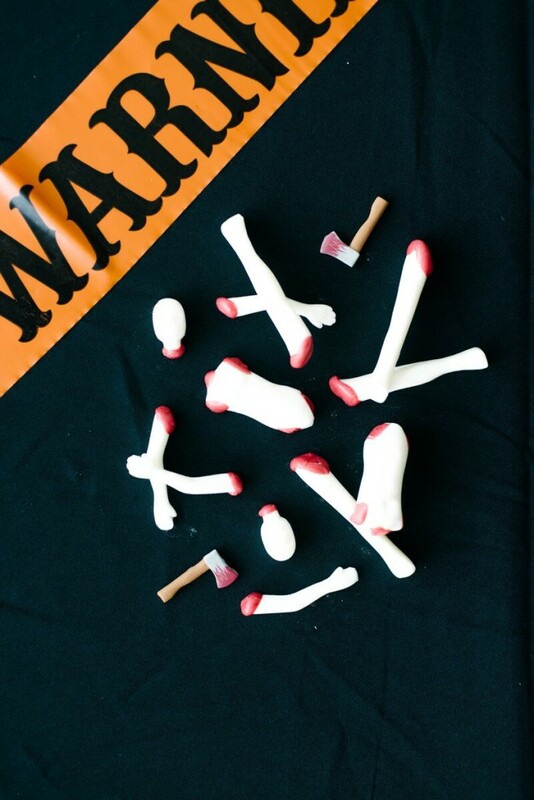 They are simple to make and definitely fit in with the halloween spirit! You can eat them alone, use them as toppers for some halloween cupcakes, or even serve them alongside a warm mug of milk so that guests can stir them into hot chocolate! First, wash and dry your fairy mold. Make sure it is completely dry before using it for your candy melts. Next, melt the candy melts, according to the package directions, in the color that you will be using for the body parts. It’s really easy and fast to use the microwave to melt them and avoid the stove top althogether. 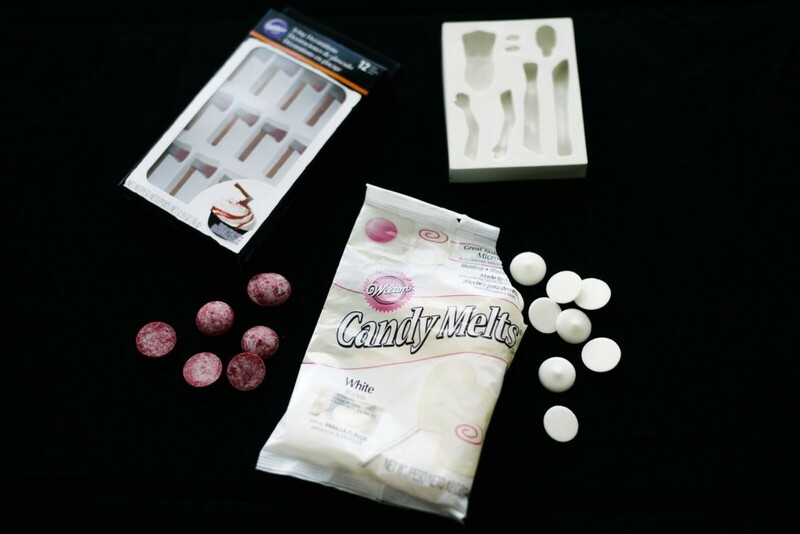 Fill your mold with the melted candy melts. Over fill them a bit and scrape the excess off of the mold using a spatula or a scraper. Tap your mold onto the top of your counter to allow any air bubbles and pockets to rise to the surface. This will prevent holes in your finished body parts. Stick into the fridge and allow to cool and harder for about 30 minutes. Once completely cool, carefully remove the body parts from the mold. Next up, melt your red candy melts according to the package directions. You will only need to melt a small amount of this color since we’ll only be adding the “blood” to our body parts. 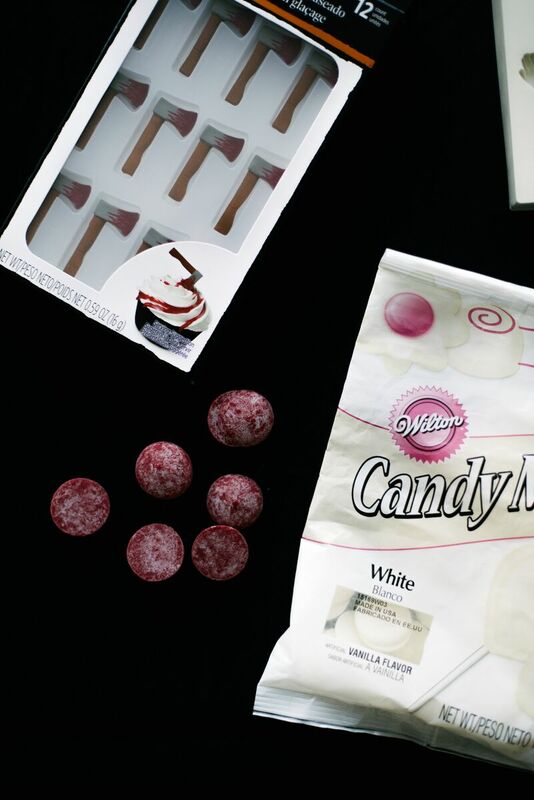 Once the red candy melts have melted completely, begin dipping each body part into the mixture. Remove and place on a sheet of wax or parchment paper to cool. You can then stick them back into the fridge to chill quickly or just let them cool at room temperature. 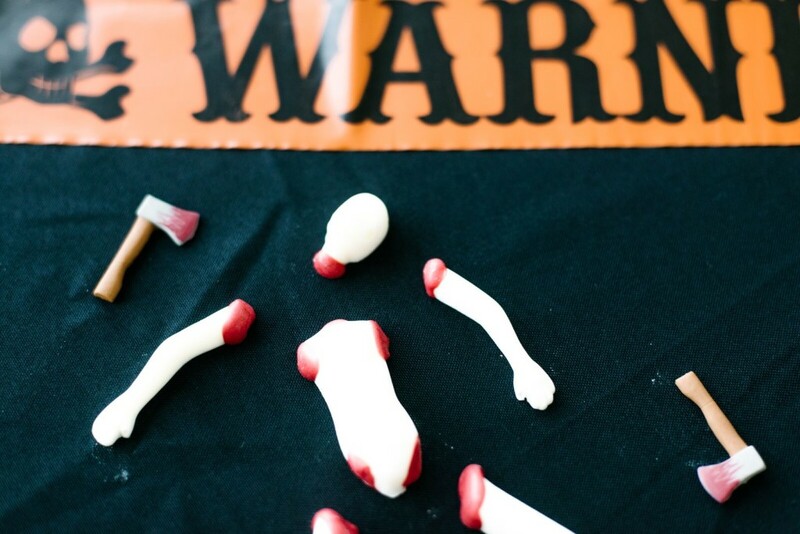 Serve them on a plate with your weapon candy toppers and add some caution tape for even more fun. These chocolate body parts are definitely creepy and a little grotesque even, but perfect for Halloween entertaining to make your guests shriek!